Finally it's time to introduce you to a Danish character! The Ice-Maiden is a story by Hans Christian Andersen, which, I believe was written fairly late in his life. It's quite a morbid tale, which is normal for this author. Tales like the Little Mermaid and Thumbellina are not as sweet and mild as the later versions that we read as children. The original versions tend to be rather sinister. The Ice-Maiden is no exception to this, it is the tale of a young boy whose mother falls into an icy ravine and dies. 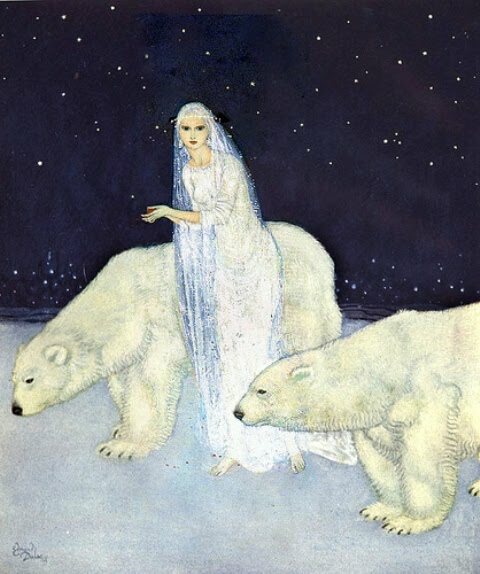 She was holding her little boy, but he survives due to a kiss from the Ice-Maiden. The Ice-Maiden then goes on to haunt him throughout his life before drowning him on his wedding night. 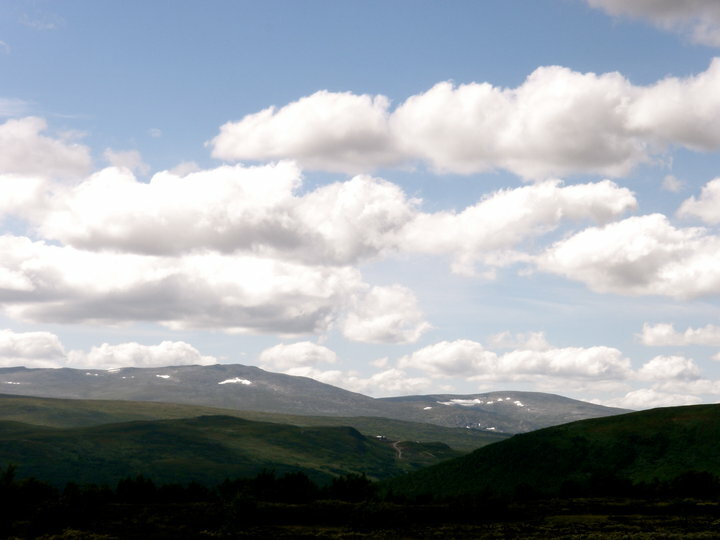 My boyfriend's cabin is in a place called Funäsdalen, where these beautiful mountains can be found. In the summer we went hiking and passed a ravine where it is said a Sami woman fell down whilst travelling in her reindeer-drawn sled and died in the snow below. Seeing that ravine was an eerie reminder of this tale. Wow she's brutal. Does she drown him on his wedding night b/c she's jealous?